Deadline Primer: What direction should the Sabres take? Tomorrow could be a make or break trade deadline for Darcy Regier. I wouldn’t go so far as to say it will determine his future with the Sabres; but if he falters at the deadline, there could be ramifications in the summer. Buffalo’s stance for deadline day has yet to be truly determined. Even by taking three of four points this weekend, and five of six for the week, the Sabres are still clawing to gain ground in the playoff race. There have been some bright spots this season and even as of late. However, there still seems to be far too many question marks surrounding the roster. Derek Roy seems to be a prime candidate to be traded tomorrow. Considering that, there should be one stance that Reiger should be taking; retooling his roster to improve the glaring weaknesses that have been revealed this season. While that is the approach that 60% of the NHL’s general managers will take, but the Sabres shouldn’t necessarily be labeled as a buyer/seller this season. Regier’s stance should have been unwavering ever since December when his team began their slide towards the bottom of the conference. It was obvious that Buffalo needed to get tougher and better down the middle. Their secondary scoring had disappeared, but it wasn’t for lack of personnel. There are players on the roster who appear to be in need of a change of scenery and there are other players who just need to be sold for some return (see: UFAs). With the Sabres still within shouting distance of a playoff spot, they haven’t dug themselves in as a buyer or seller, necessarily. However, Dave Pagnotta on The Fourth Period radio raised some excellent questions. He first made strong points by saying a number of teams need to realize that their roster is flawed and change is necessary. This was also pumped by Pierre LeBrun who said a handful of teams need to stop looking at the standings and start looking in the mirror. I would certainly count the Sabres among that group. Another interesting point made by Pagnotta and Dennis Bernstein was that the Sabres shouldn’t be waiting any longer to make their call on Drew Stafford or Derek Roy. They made very cogent points that it is obviously time for change and a message needs to be sent to the locker room that a shift in attitude is necessary. It was actually a terrific show, you should get XM just for NHL Home Ice. For those expecting to see a fire sale along Perry Street, don’t hold your breath. However, the market for Sabres rumored to be on the block continues to rise – thanks to the fine work of a few general managers from around the NHL. A new contract for Tuomo Ruutu could increase the interest and return regarding certain players on the Sabres’ trade block. In recent weeks players who have been at the center of trade rumors have been given new contracts, all but eliminating them from trade talks. Tim Gleason, Vinny Prospal and Andy Sutton are recent signees who were expected to be commodities on February 27. This development, along with the potential of Tuomo Ruutu being signed, has only good results for the Sabres. There are a few names of Buffalo Sabres that have been floating around the different rumor mills for some time. 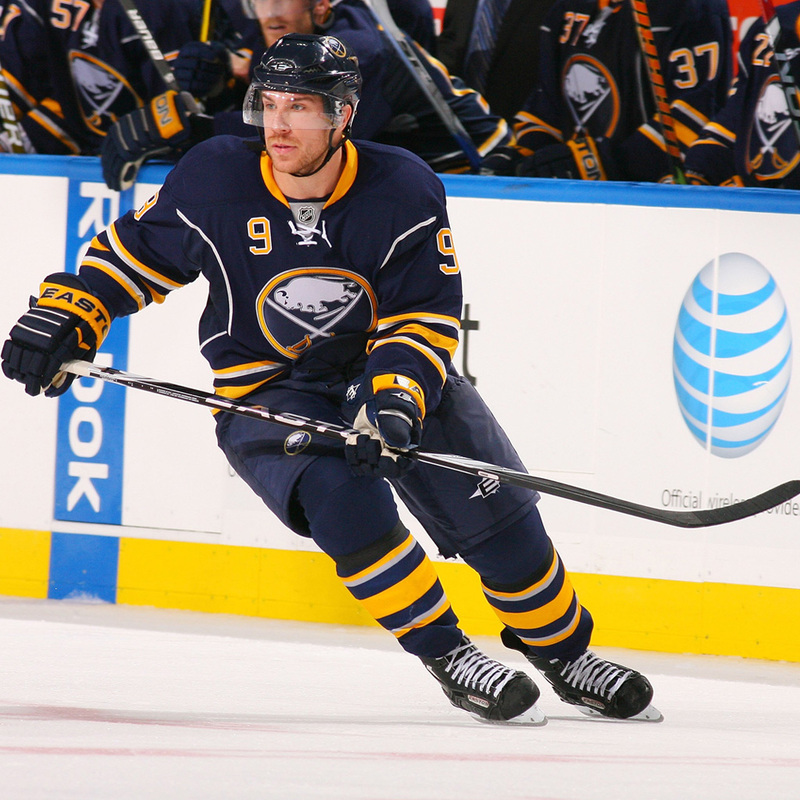 Brad Boyes, Derek Roy and Paul Gaustad all seem to have some interest from around the league. Drew Stafford’s name is also out there but it seems as if he is someone who is being focused on more from a local standpoint. When considering the players who may be moved, keep in mind where you’re hearing the reports from and the specific player who is being referred to. For example, there are a whole lot of fans who want to see Stafford, Roy and Boyes shipped out. Some of these people would even trade Ryan Miller, for whatever reason (hockey IQ). However, hearing your friends talk about moving a player isn’t the same as hearing reputable sources say certain scouts and teams are discussing a particular player. What you can put in the bank is the fact that the assumed market for the players that are said to be on the block has been rising in recent weeks. Paul Gaustad’s recent play has shown the two-way game that many teams covet. In addition, the thinning of the scoring winger market means that more teams may be willing to jump at the chance for Brad Boyes or Drew Stafford. If you’re on the “Trade Stafford” bandwagon, hope to god Jim Rutherford reaches an agreement with Ruutu this week. If Ruutu and Prospal are off the market it leaves a very thin depth chart of pending UFAs to pick from. It also thins the number of potential trade pieces from teams well out of the playoff race. Despite rumors surrounding Buffalo being fairly quiet, the fact that these signings are occurring will only help Darcy Regier move the players he wishes to part ways with. As of right now the asking price for Ruutu is alleged to be astronomical. I don’t necessarily think that it makes much sense to ask for a ridiculous return, but Sabres fans should be praying for him to re-sign in Carolina. I don’t think that his market value would translate to the players on Buffalo’s roster that teams would be targeting. However, if he re-signs, I do know that interest in the players on Buffalo’s block will skyrocket. UPDATE: Ruutu was taken out of tonight’s game with an upper-body injury. I can’t speculate length without any additional information. But if he was to be shelved beyond the deadline, it has the same effect as if he were to re-sign. Consider this hypothetical for a moment: Drew Stafford had been tossed around rather casually for some time as a solution for a team searching for offense. Perhaps his original value was a second-round pick and a prospect, but interest was weak. With Prospal and Ruutu off the market his value likely remains but the interest now skyrockets. With increased interest, there is the opportunity to ask for a better return. The same goes for Boyes, Gaustad and the rest of the players who are potentially on the block. When a team appears to be approaching the “sell to retool” phase, having a high demand for product is a very good thing. The only question that remains is; will Regier pull the trigger on these deals? There is a big gap between those on HF Boards proposing the Sabres trade Ryan Miller for Jonathon Quick, rumor sites tying different stories together to form conclusions and the men who actually make the deals in the NHL. This post would likely fall somewhere in the middle. There doesn’t seem to be too many people left who would agree the Sabres are going to fare well with their current roster. Even Bucky Gleason’s most recent column added more fuel to the fire. While he seems to have a direct line to Ted Black (which is indeed a good thing), he did little more than insinuate players who could potentially be moved. The same goes for the columnist covering the Ducks. He made mention that moving Ryan Getzlaf would be a possibility. Never once was a source mentioned regarding any of those players truly being on the block. Why bring this up? Because these columns are just that. Columns. If they were a report, sort of like those surrounding Kyle Turris, it would be a whole different situation. It is painfully obvious that something needs to be done to awaken the players in the Buffalo dressing room. A safe bet would be to move at least two out the door for a fresh face. Preferably a fresh face that plays with a little jam. The players atop the burn list for most Sabres fans will be Drew Stafford and Derek Roy. They certainly have earned their spots. In fact, those who look to the core of this team as the main problem would say these two are the most cancerous in the room. Moving that pair in some way shape or form would be addition by subtraction to most. I can’t say I would disagree, either.